Hikashu plans to do a tour of west Japan in early May for the support of their newest album, Uragoe. Right now it includes Kobe on May 6, Kyoto on May 7, and Nagoya on May 8. Please note that the schedule is still under coordination and subject to change. More on this later. 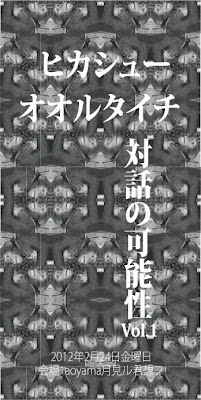 Jazz Art Sengawa 2012 is under preparation, and plans to be held on 20-22 of July. Being reached the 5th year, the 3-day annual festival still continues to be small but intimate, truly eclectic and simply one of the best music event in Japan. Of course the main curator is Makigami Koichi so Hikashu is likely to appear as they have before in the past. Regarding reissue project of the past Hikashu recordings, Makigami Koichi and Inoue Makoto has been working on the archival tapes from mid 1980s. At that time, the band made some music for contemporary dance and ballet troupe. Some of them were released as "Soba de Yokereba" and "Nanimo Kamo Odore" in 1985 and 1987 respectively. And those are the albums which they'd like to resurface. Being tentatively called "Dance Music Series," those recordings have never been re-released but now finally be reissued after all those years. Although the details still not revealed, the albums are expected to include new mix and bonus tracks, as the two have done on the superb "Watashi No Tanoshimi" (which is also a part of the series) reissue in 2010. Can't wait. The long-awaited new album from Hikashu, entitled "Uragoe," will be finally released in April. For commemorating the release, a concert will be held in Star Pine's Cafe of Kichijoji on April 5. At this writing, the album is in finishing stage. If everything's all right, the album will be available at the concert. Officially its release date is April 8, so this is also the first opportunity to get the album. Go to the show, buy the album, and support the band! 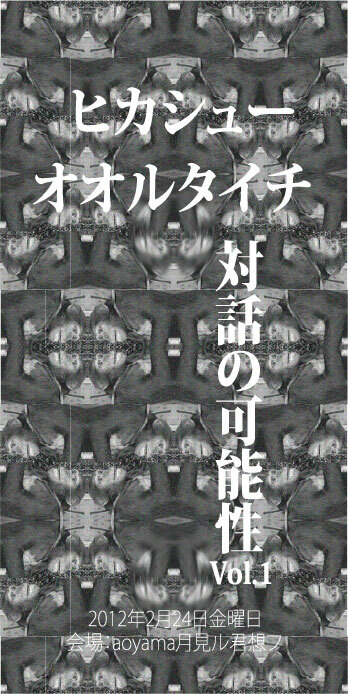 On two consecutive days of mid March, two interesting sessions by Hikashu-related musicians will be held in Shibuya, Tokyo. One is Kuro Yagi Shiro Yagi [Black Sheep White Sheep] plus Makigami Koichi. The group is a bass-drums duo of Sakaide Masami and Sato Masaharu. It's a sort of offshoot unit from Hikashu, and this time Makigami will sit in. The other is a special session coordinated by Makigami. The participants are Makigami, Yokogawa Tadahiko on violin, and an ex-Hikashu Yoshimori Makoto on keyboard. 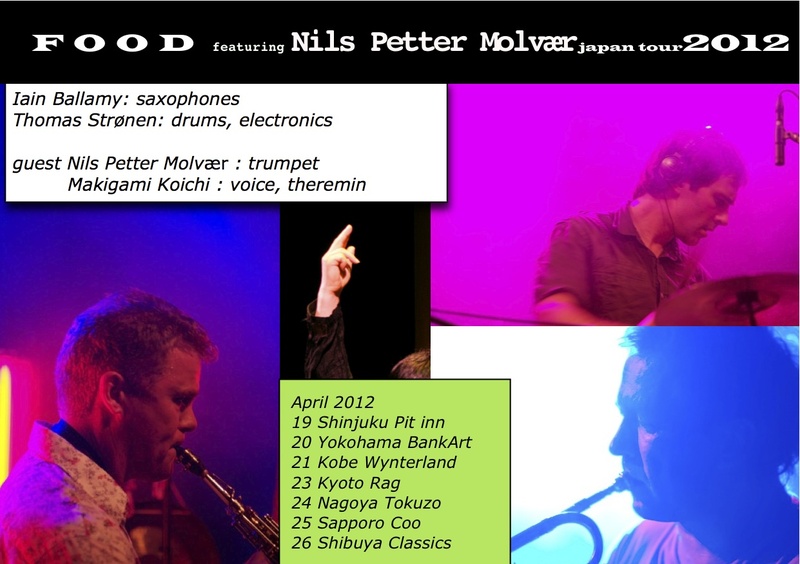 Both gigs are mainly improvisation. If you like adventurous, unadulterated live music, these two events are a must-see. "Q is A - Viva! 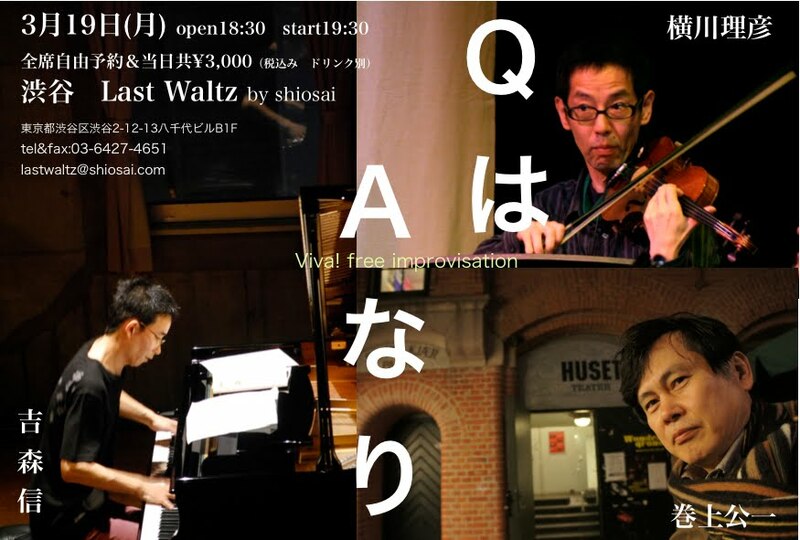 Free Improvisation"
On Februrary 24, a double-bill concert of Hikashu and Ooru Taichi will be held in Aoyama, Tokyo. Ooru Taichi is a performer and composer based in Osaka. Started performing as a solo act in 1998, he has been experimenting with his own distinctive style - improvisational narrative using imaginary language, backed with self-made, mixed-genre track. He said his goal is "to make a kind of music never heard before." Also, Hikashu and Mr. Ooru are supposed to jam together on stage. There's no Hikashu gig in March, so do not miss it.